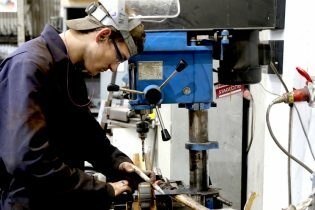 One of our 2016 Metal Shop apprentices, Jake Braithwaite, was awarded his Gold Duke of Edinburgh Award earlier this month. The long-awaited ceremony was held at St James’s Palace and hosted by The Earl of Wessex and BBC Strictly’s, Len Goodman. 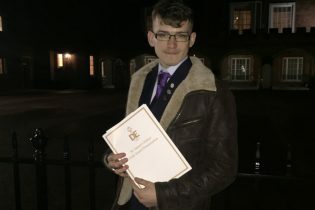 Jake began the bronze award with his youth club when he was 13 and worked through to the gold award, finishing when he was 18, just before he began his apprenticeship with us. We love the chance to celebrate the achievements of our staff outside the world of Stage One. The immoveable deadlines and unique nature of our projects demand long hours, an unfailing commitment to teamwork and the ability to adapt. Sounds like Jake’s DofE experiences will stand him in excellent stead!